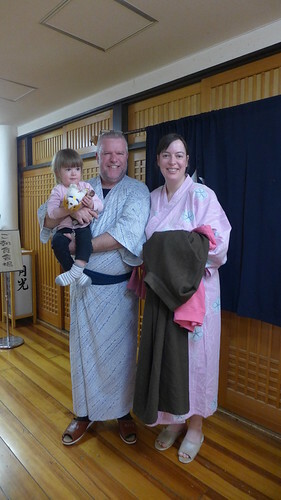 The night had been pretty blowy and windy but we were rugged up like the proverbial bugs. I think we had a minor blizzard over night, or at least a big dump. There was plenty of fresh snow on the ground and in the trees. But except for the wind and the creaking of the building you'd never know. 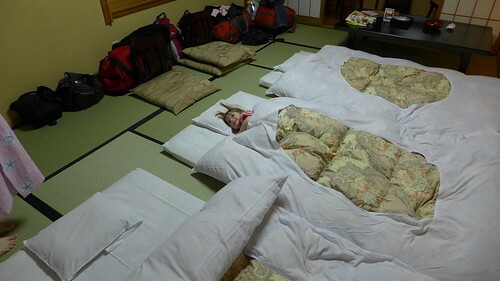 The futons were comfy and warm. Georgia loved being on a futon for a while but she became restless and was more comfortable back in her travel cot. 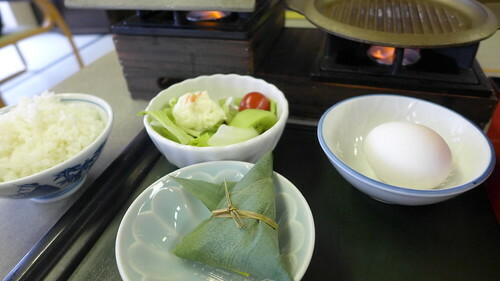 Breakfast at Osenkaku is almost as good as Dinner. Again, too much food if anything. 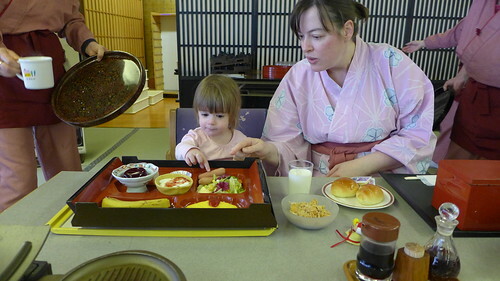 We had a choice of western or Japanese breakfast and a kids breakie for Georgia. Way too much for one little girl - sausages, omelette, salad, cereal, jelly and a banana. I think I want hers tomorrow. The Japanese breakfast is very good, Michelle loves her Japanese breakfasts, but sometimes I just need a bit of cereal and toast. 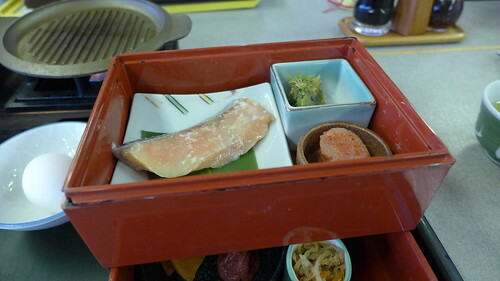 I know I keep saying it but you will not go hungry at a ryokan like Osenkaku. After breakfast the most important thing we have to do is relax and relax hard. 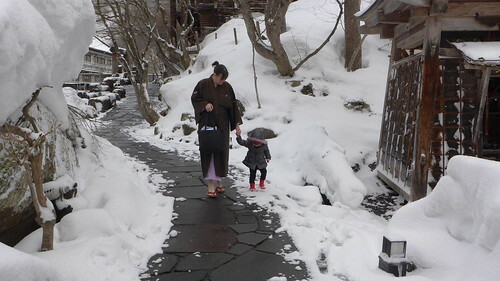 So it is back to the onsen for a leisurely dip before we think about lunch. 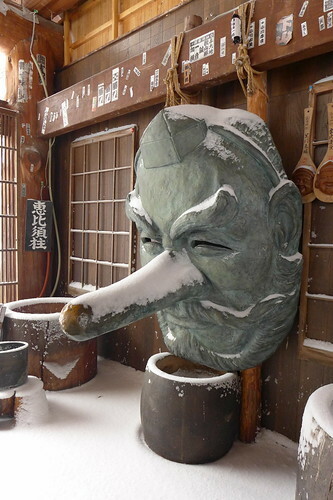 Some of the eclectic... um... art you'll find on your way down to the rotenburo.